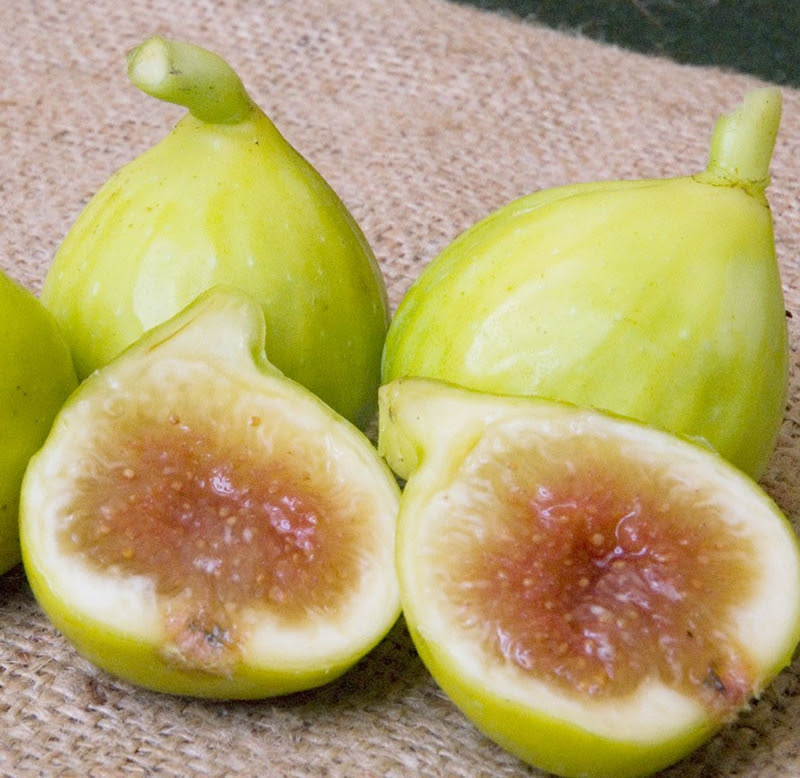 There’s something about a fig that is absolutely exquisite. 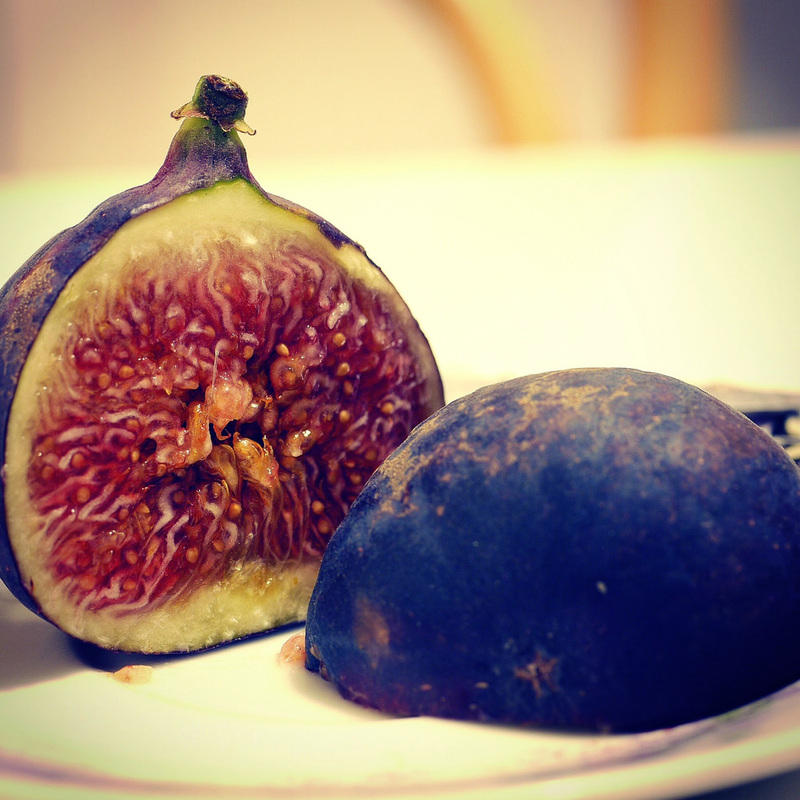 It certainly has to do with the fig’s firmer skin and lusciously mysterious interior, perhaps its burst of color once you take a bite, the simultaneously soft and chewy texture, and of course its complex flavor. 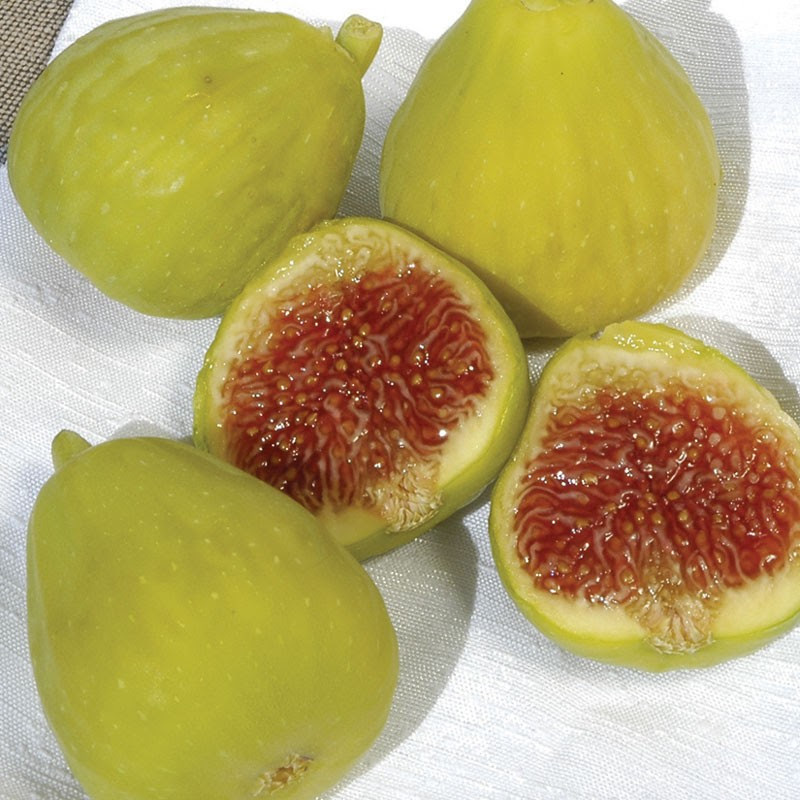 But I believe the fig’s exquisite quality is also quite simplistic, and has to do with its size. 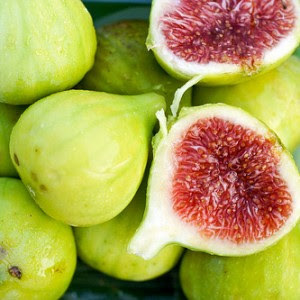 A fig is like a delicious bonbon that, in a few bites, gives you the most pleasurable moments of your tastebuds’ day. And that’s saying something in late summer! What’s even better? 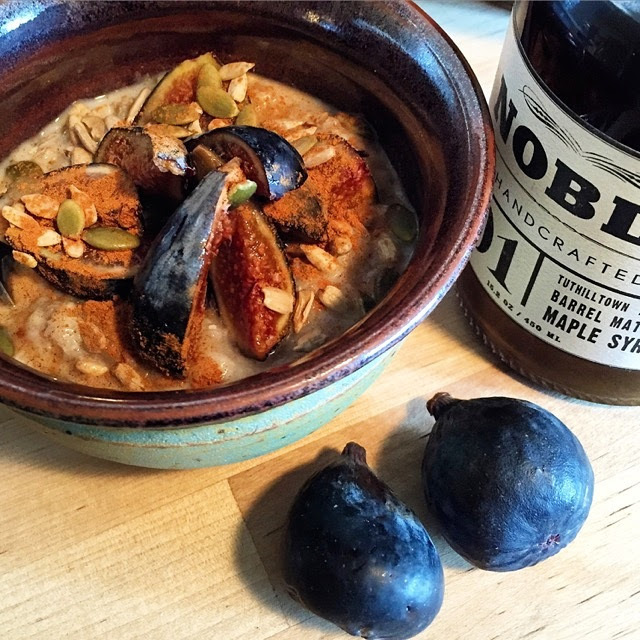 Figs carry us into fall, so there’s always a little premonition of the crackling red leaves and autumn smell that comes along with. 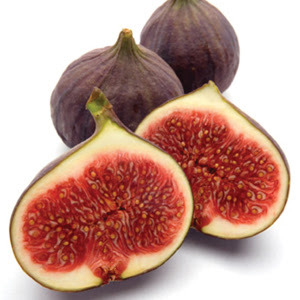 Fun Fact:A fig is actually a fruit that is a flower. Seemingly turned inside out! 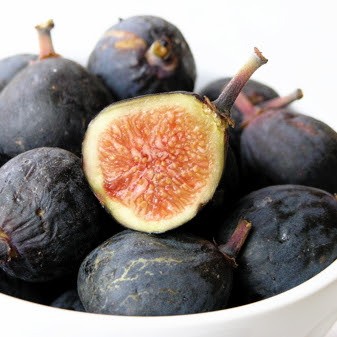 One of the first plants to be cultivated by us humans, figs have been gracing our palates for thousands of years (long before the Fig Newton popped onto the scene in 1891). 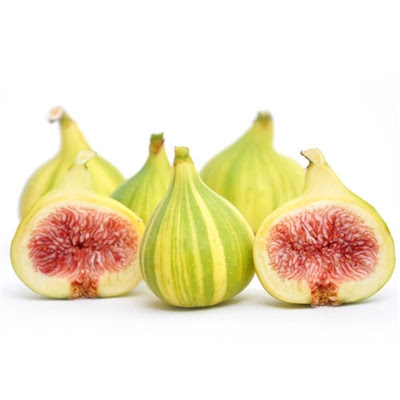 And due to their lengthy history, quite a few varieties of figs have developed. Hailing from the land of the missions: California! San Diego to be exact, dating from the mid 1700’s. And it is now one of the most common varieties around. The everyday green fig. Widely available but not to be underestimated. While it’s pale in color, it’s hardly pale in flavor. Where was it first grown? That’s right, by the Adriatic Sea- in Italy! We vote for eating it raw out of hand so you can enjoy its vibrant color! Now almost as common as the Black Mission, the Brown Turkey is less sweet and rich, but juicier. 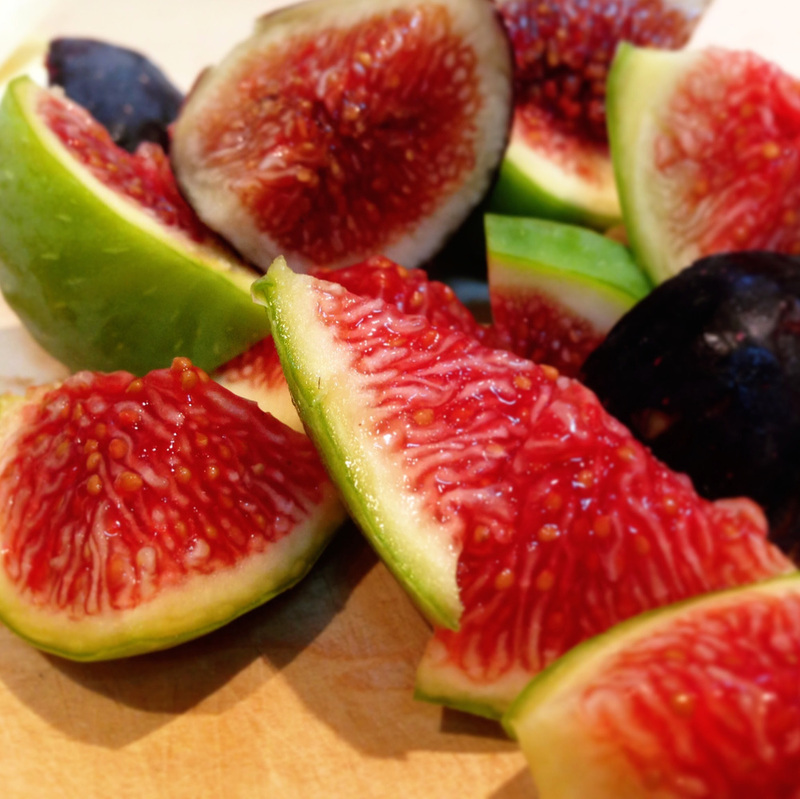 Also called the Candy Stripe, these figs have a high-sugar content and are almost jammy on their interior. Melt in your mouth silky, and sweet. Unlike some of the tougher-skinned green figs, the Desert King cracks when it’s ripe. Fresh and local! Fresh and local! Figs don’t keep well. And they certainly don’t like to travel. So use your neighborhood resources and find some close by. Once you have them at home, be kind to the little jewel like fruit/flowers! Eat them within a day or two, and keep them covered in the fridge in a single layer to minimize bruising. Give them a cool water rinse, pat them dry, carefully remove the stems, and pop them in your mouth! Or if you can resist, set them aside for your recipe. Preheat the oven to 180C/350F. Cook the bacon until crispy, then chop it. Line a baking sheet with parchment paper. Extend over it the sheet of puff pastry. Using your fingers fold in about one centimeter of the edges to create a crust. Pinch the inside of the pastry with a fork. In a small bowl, mix in the ricotta, gorgonzola, honey, egg, salt, pepper and thyme. Spoon the ricotta mixture over the pastry. 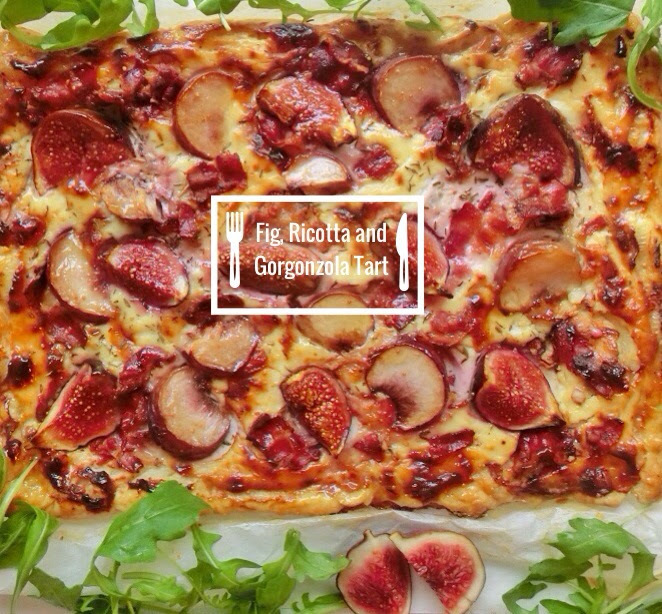 Sprinkle the bacon and then arrange the figs and peaches. Brush the edges of the pastry with the egg wash. Bake until the edges are golden, about 25 minutes. 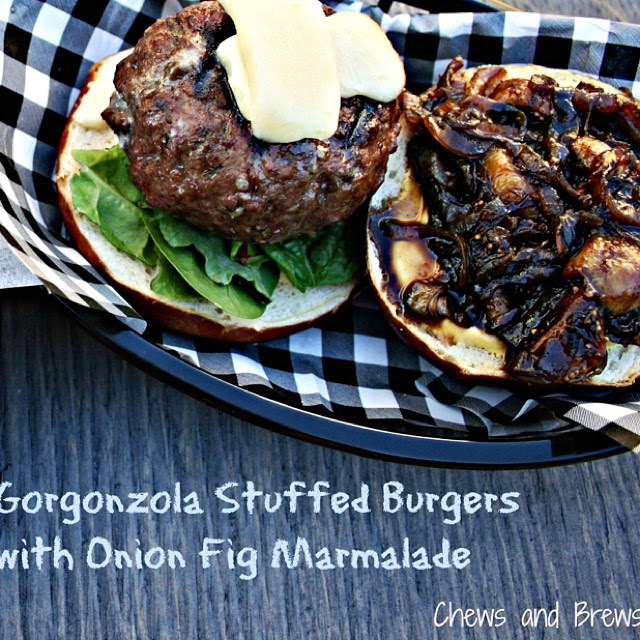 Featured Fig Recipes from Foodstand Posts! Sweet and tangy marmalade that goes great with a burger stuffed with a strong cheese like gorgonzola. Heat up a pan with some olive oil. Add sliced onions and chopped figs to hot pan. Pour in stout and brown sugar and mix well. Sprinkle salt and pepper and let simmer until reduces, about 30 mins. A deliciously easy late summer dessert that showcases August’s harvest! 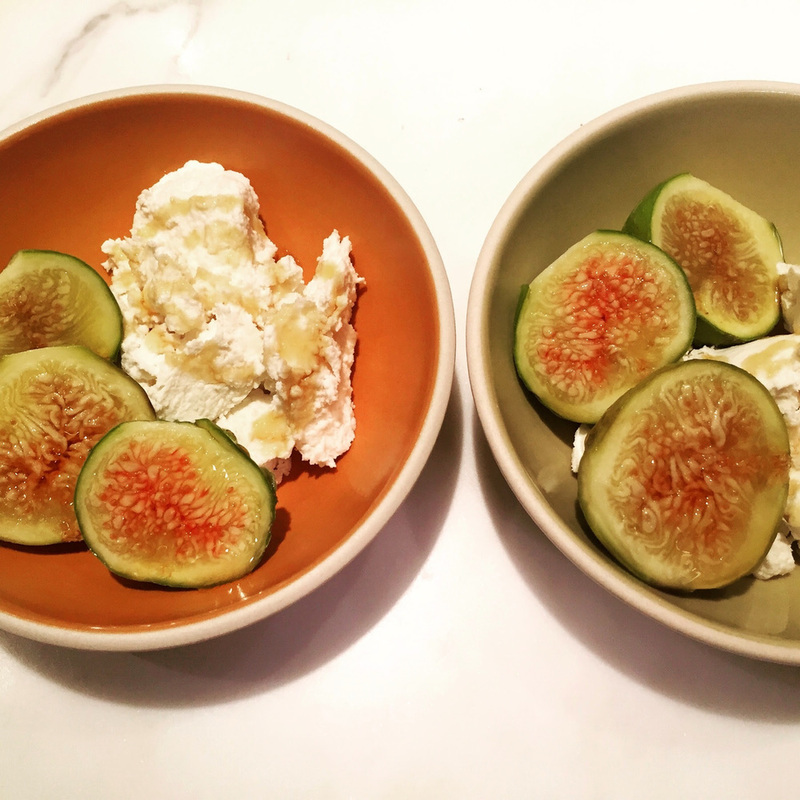 Split the ricotta cheese between two bowls. Cut the stem off the figs, then slice them in half. Place three fig halves in each bowl. Drizzle with honey to your heart’s content, and serve! 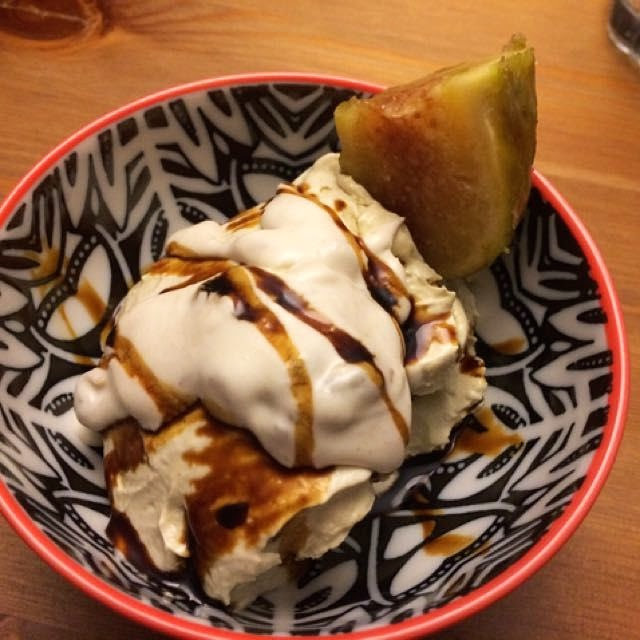 Homemade fig and honey cashew ice cream with coconut cream sauce and a sweet balsamic glaze on top. It’s fig season. Get your hands on some of these beauties courtesy of Fresno County. You’re welcome! Breakfast on a foggy morning. 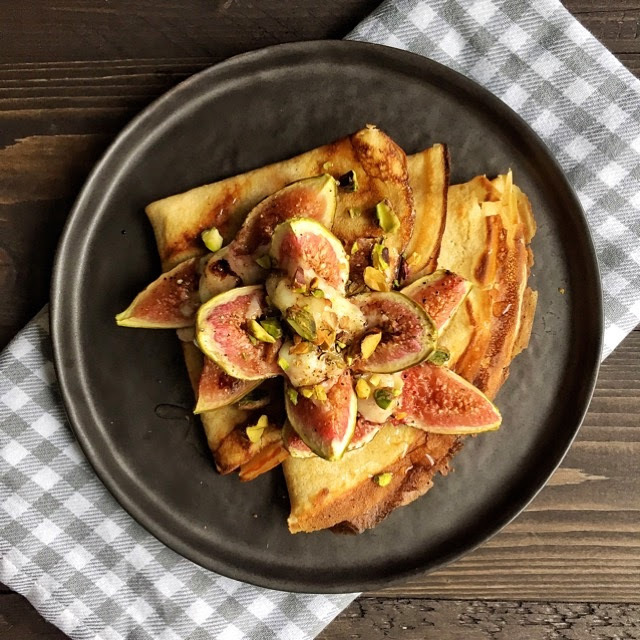 My lunch today: buckwheat crepes, figs stuffed with gorgonzola and roasted with honey & a bit of port!